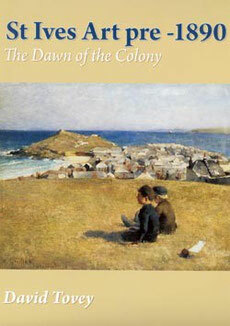 Written to accompany the 2008 exhibition, Dawn of a Colony : Picturing the West (St Ives 1811-1888) at Tate St Ives, of which the author was Assistant Curator, this book analyses, for the first time, the artists who worked in St Ives in the period prior to the formation of the art colony in 1885. 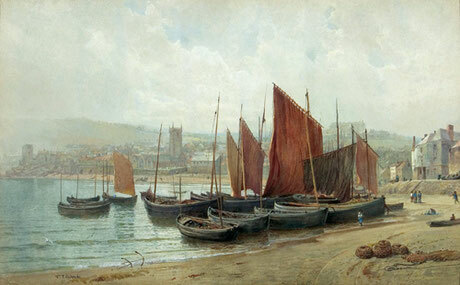 The author demonstrates that, as distinguished artists, such as Edward Cooke RA (1848), James Clarke Hook RA (1860), John Brett ARA (1872) and others, including the American Pre-Raphaelite marine painter, William Trost Richards (1878-80), had produced important paintings of the town previously, the visit of James Whistler in 1884 has been accorded too much significance, in a St Ives context, in the past. Instead, David investigates the claim by the early American colonist, Howard Butler, that the French artist, Émile-Louis Vernier, was "the person who really discovered St Ives", and demonstrates that Vernier drew the town’s attractions to the attention of a group of artists of various nationalities, who had been working together in the Breton art colonies of Concarneau and Pont-Aven. The St Ives colony, therefore, was effectively established from Brittany, with foreign artists outnumbering English ones in the early years, leading to a focus on the exhibitions at the Paris Salon, rather than the Royal Academy. Artists involved in the early years of the colony include the Americans Edward and Vesta Simmons, Frank Chadwick, Howard Butler, Charles Reinhart and Rosalie Gill, the Finns Helene Schjerfbeck and Maria Wiik, the Swedes Anders Zorn and Emma Lowstadt, the Norwegian Bernt Gronvold and the German Franz Muller-Gossen, as well as Adrian Stokes and his Austrian wife, Marianne Preindlsberger, Stanhope Forbes and his Canadian fiancée, Elizabeth Armstrong, and Henry Harewood Robinson and his Irish wife, Dorothy Webb. With Anders Zorn’s Fisherman, St Ives being bought by the French Government in 1888 and with a number of other artists winning awards in Paris for their St Ives paintings in the years 1887-1890, the colony made an instant impact in Paris, leading to further groups of artists coming to visit, and so, from the outset, the colony was an international community with a cosmopolitan outlook. In addition, Adrian Stokes secured the colony’s first major success at the Royal Academy in 1888, when his Barbizon-influenced landscape, Upland and Sky, was bought by the Chantrey Trustees. The author also highlights the early fraternisation between the colonies at St Ives and Newlyn and looks at the initial impact of the artists’ arrival on the town. The result of extensive new research, this book is not only the first account of the pre-colony period, but also re-writes the history of the establishment of the St Ives colony.